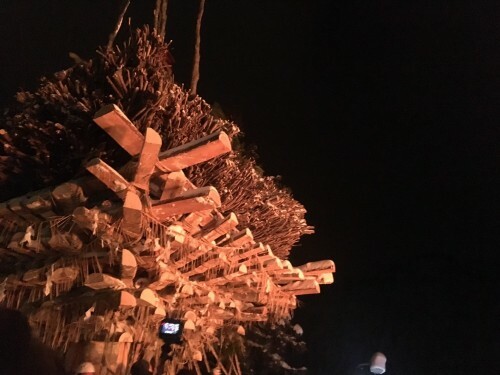 Each year on the 15th of January the village of Nozawa Onsen holds the Fire Festival (also called Dosojin Matsuri). 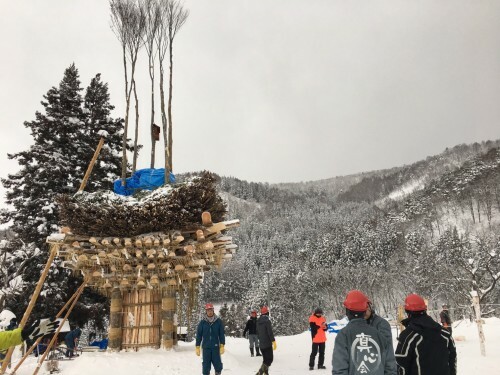 This is one of Japan’s three big fire festival and worth seeing if you happen to be in Nagano Prefecture around this time of year. Participants of the festival are men of the ages 25 and 42, the so-called unlucky ages. The young men protect a wooden shrine from the fire that the 42 year-old bring to burn the shrine. They “fight” to either burn or protect the shrine. Before and during the festival these men will drink copious amounts of alcohol to help them withstand the cold and gain some Dutch courage. They sing songs and chant things like “bring the fire!”. You will get close to fire one way or another so don’t wear your Sunday’s best. Wear something that could withstand a possible flame and the coldness of January. Snow boots are definitely recommended. All in all it is a lively event, and a lot of fun to experience. It will make your Japanese adventure even more interesting. 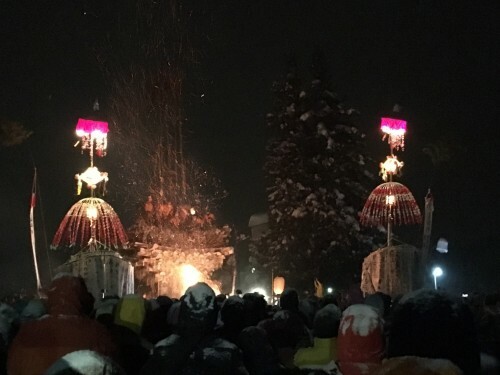 Should you like to visit the Nozawa Fire Festival in a combination a visit to the Snow Monkey Park, we conduct a guided tour departing from Hakuba/Nagano Station.